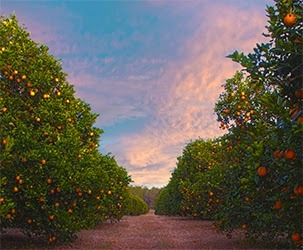 Just How Many Navel Orange Trees Are There? Navel Oranges are by far the most common oranges to eat out of hand in the United States. That must mean there are a lot of Navel Orange trees, right? Can you guess how many are in America? How about worldwide? The answer: One. There is only one true Navel Orange tree in the entire world! There are plenty of groves all over Florida with hundreds or thousands of trees growing Navel Oranges, but none of those are true Navel Orange trees. Those trees are a different kind of citrus tree with Navel Orange branches attached to them. All of those Navel Orange branches come from the same, amazing 200-year-old tree. So, how did this happen? 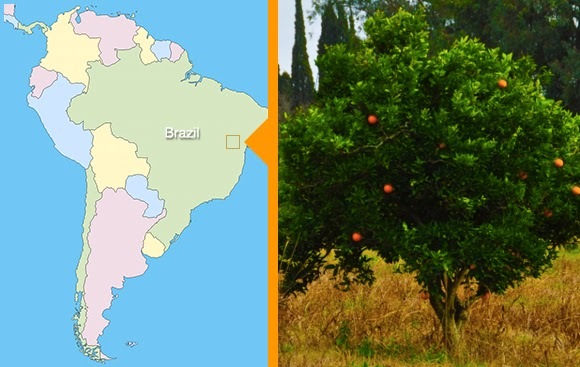 Around 1810, a single tree in Brazil experienced the Navel Orange mutation. This mutation not only resulted in the signature “navel,” which is actually a second, underdeveloped orange that shares the same peel, but also made the fruit seedless. A single, seedless orange tree in Brazil was lucky enough to produce the Navel Oranges we love today. Note: the above image is not the original Navel Orange tree. If you’ve ever had a Navel Orange, you can understand why the farmers had to find a way to plant more of these trees. However, the mutation was completely sterile -- there were no seeds for the farmers to replant. How can you plant new orange trees without seeds? Well, you can’t. They decided to try grafting. Grafting is the simple, ancient technique of joining two related plants together. In the case of orange trees, the grower will take the branch from one tree and carefully attach it to another tree. If the trees are similar enough, the new branch will live. Over time, that branch will grow and bear more and more of it’s own fruit. So with a little help from some clever farmers, Navel Orange branches migrated their way to the sunniest places around the world. It’s worth noting that there have been other Navel Orange mutations while on the branch, resulting in different Navel Orange varieties. Most of them are not grown in large quantities. You can check out this list of Navel Orange Varieties if you want to read more about each variety.